It looks like its close to the end of the road for Ranthambhore National Park’s iconic tigress T 16 or Machali. There are many tales about her and some of them are true. She was born in the monsoon months of 1997, one of the three sisters, whose mother was known as Machali. 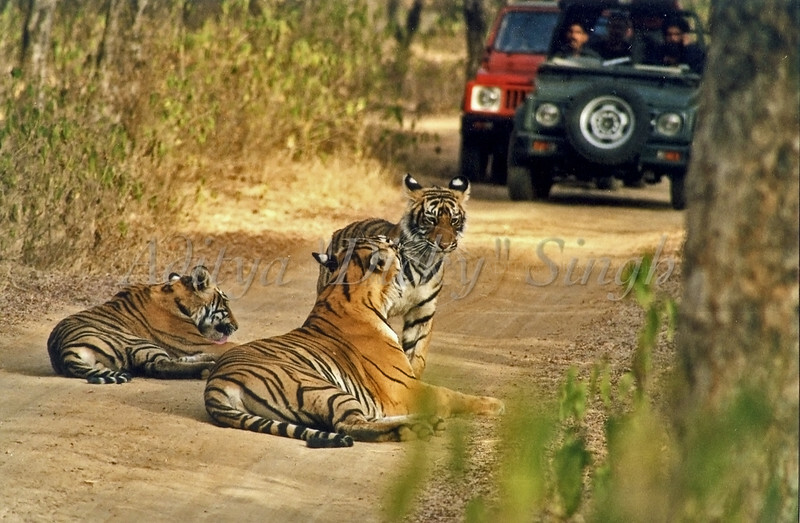 When Colin Stafford-Johnson was filming for BBC’s second documentary in 2000 he renamed this tigress Machali. She was earlier known as “Lady of the lakes.” It is generally believed that she was the dominant one among the three sisters but the reality is that she was the runt of the litter. T 14 (who was never named), her sister, who took over the area behind the fort (Zone 1) was the dominant one in that litter, though she never became famous. 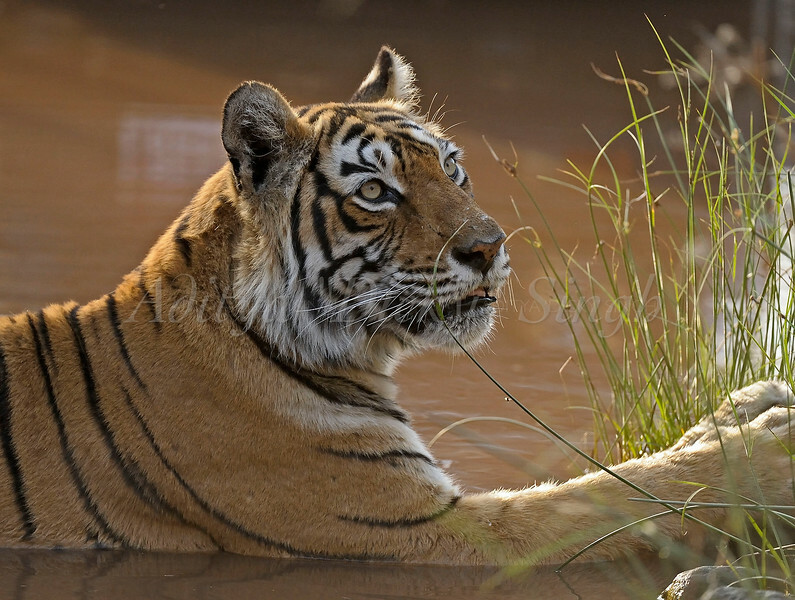 The reason for Machali’s fame was the area that she occupied – the area of the lakes – which is the most scenic part of Ranthambhore. This area with wide open spaces is a favourite of film makers and photographers, since it is relatively easier to work here. Nearly a dozen films have been made on her life and at one time she was definitely the most photographed wild tiger in the planet. She is now really old and mostly stays at the edge of the forest. Her survival now depends on her avoiding other tigers. She still hunts though her diet has been supplemented by the forest department with live bait – one reason that she lived for so long. Some days ago she either killed or came across a dead Nilgai at the base of Amba Ghati. Soon after a young male tiger Sultan (T 72), who incidentally is the great grandson of Machali’s sister (T 14), landed up there and it appears that the two of them got into a fight. The forest department found a carcass of a Nilgai that Sultan was feeding on and with the available evidence they believe that the two had a fight that Machali lost. Some camera trap pictures from around that area clearly show an injured Machali with a big gash in hey eyes. It is widely believed that she probably lost one of her eyes though we are not sure as yet. I don’t think that anyone can do any more for her. When she does go, I will miss her as my life in Ranthambhore started when Machali was a cub. I was fortunate to have worked on five documentary films that were made on her life and have a carton full of slides of her pictures.